What a wonderful day at the shelter! I got to spend time with some amazing dogs and I hope that visitors to Orphans of the Storm® find them just as amazing as I do. 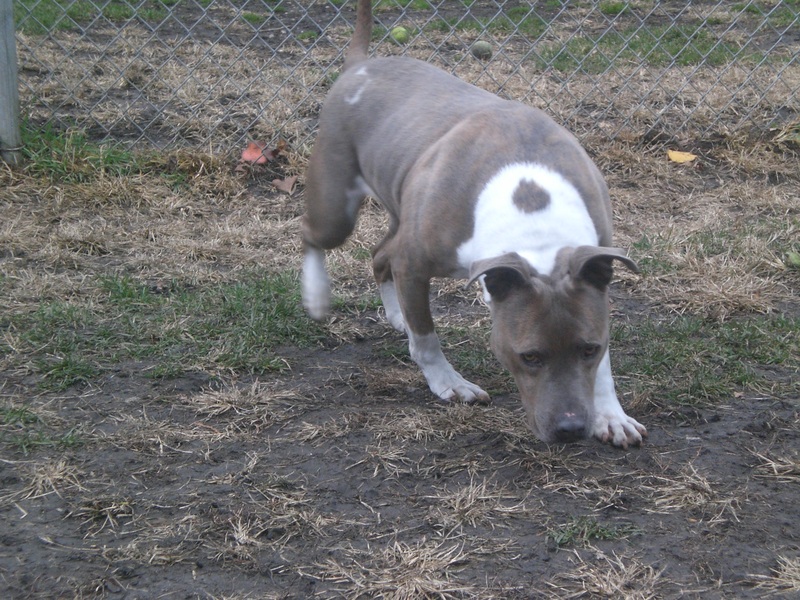 Diamond is a five-year-old American Staffordshire Terrier mix (not to be confused with the other Diamond, a two-year-old Pit Bull Terrier mix—apparently Diamond is a popular name). This poor girl has had some bad luck: her original family’s home had a fire, and they had to give Diamond away when they moved. This means she has many years of experience as a family pet, though, and loves people. 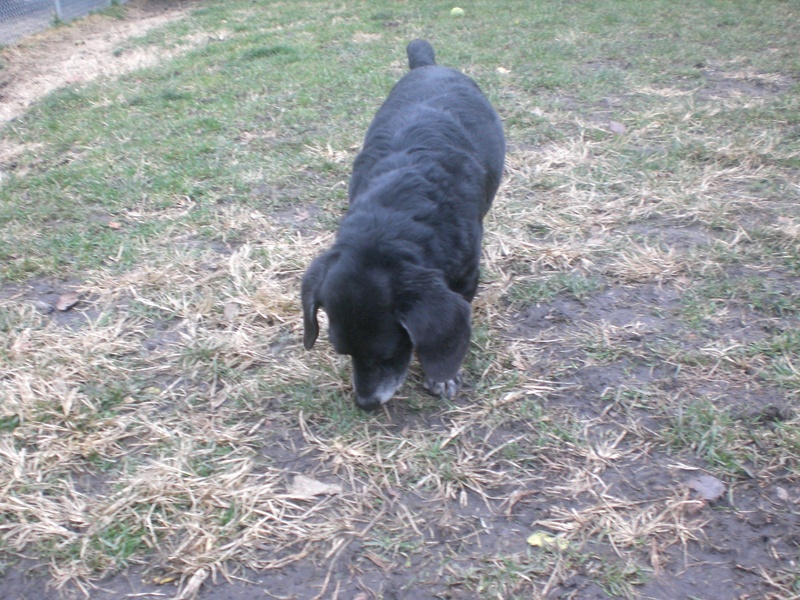 Diamond likes to use her front paws to move around the very top layer of dirt, probably to unearth some new, exciting smells. She crawled under the bench inside the run and did a little scratching and sniffing in the hole that’s already there. Her cute face stuck out from under the bench and she looked at me for a moment, then turned in a half-circle and had her wagging tail sticking out from underneath instead while she continued to sniff. See why she's called Diamond? When I sat down on the bench, she hopped right up and stood next to me while I gave her shoulders and neck a nice rub. She almost sounded like she was purring! She enjoyed the attention and didn’t jump down from the bench until I stopped petting her. Chewy the eight-year-old black Labrador Retriever mix is my new absolute favorite. (I don’t know if I should really have a favorite, but I can’t help myself.) 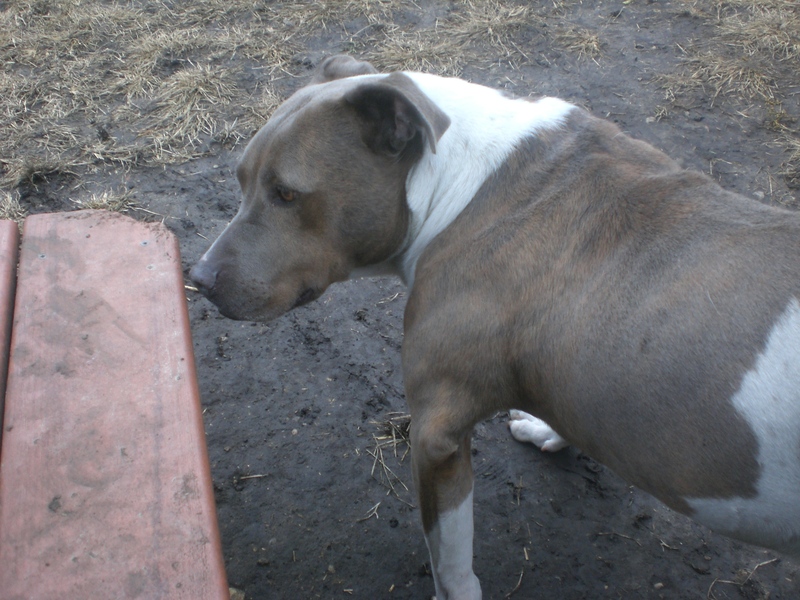 When I asked if I could take him out, one of the staff members said, “Only if you think you can handle him.” This turned out to be a joke, because Chewy is one of the gentlest dogs I have ever met. He is a very big boy, but he did not pull on the leash once while we took our walk. All I had to say was, “Here, Chewy,” and he would go in whatever direction I wanted. 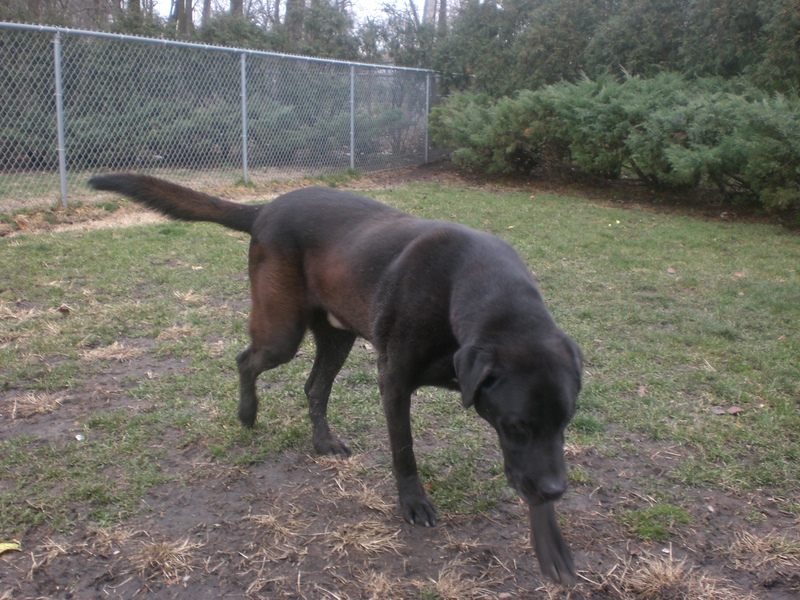 In standard Lab form, Chewy stayed close to me, even when he was off-leash inside the run. He walked over to me when I sat down on the bench and put his head in my lap so I could pet him. He seemed to prefer walking, though, so after just a few minutes inside the run I put the leash back on and we took a stroll. Since Chewy is an older dog, he didn’t need to go on too long of a walk. We did one lap around the property and I was ready to go for a second lap, but he sat down on the sidewalk and I got the hint. 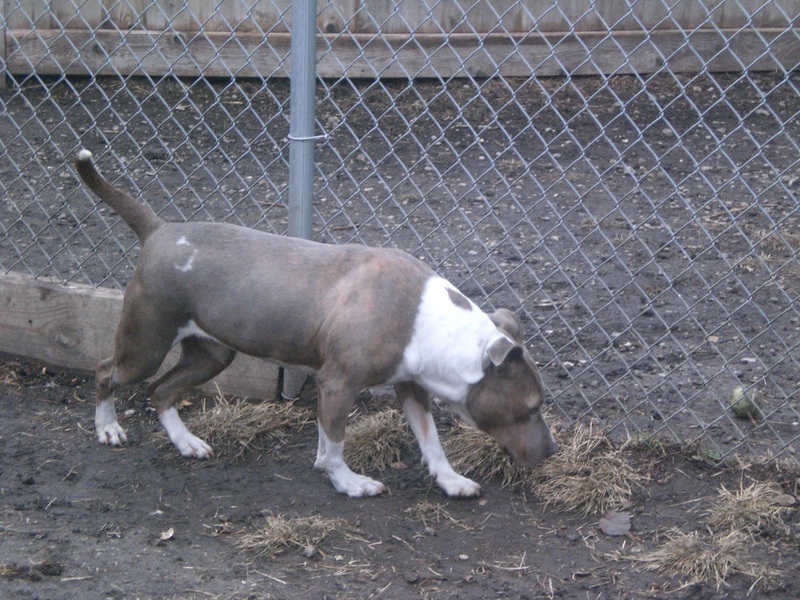 He knew exactly which kennel was his when I took him back and went inside with ease. He gave my hand a final sniff and wagged his tail. 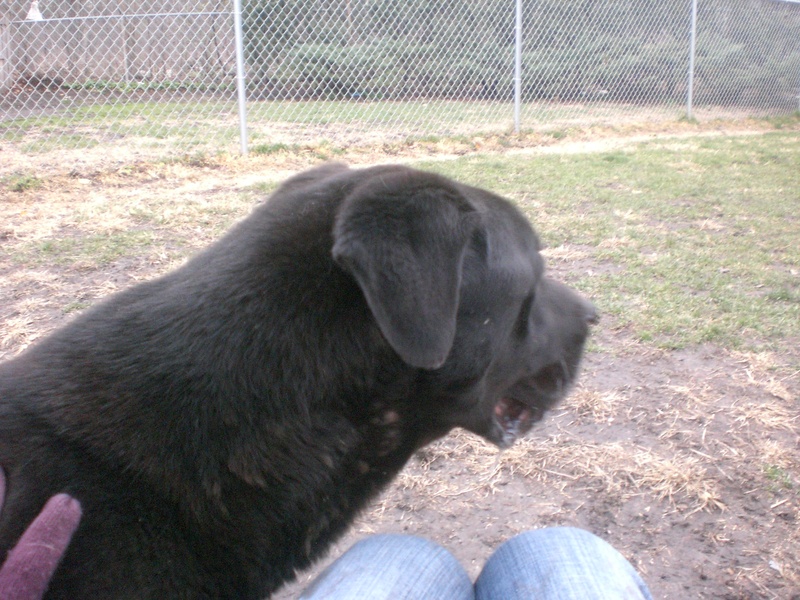 This sweet and gentle giant deserves the most loving home to live out his golden years. 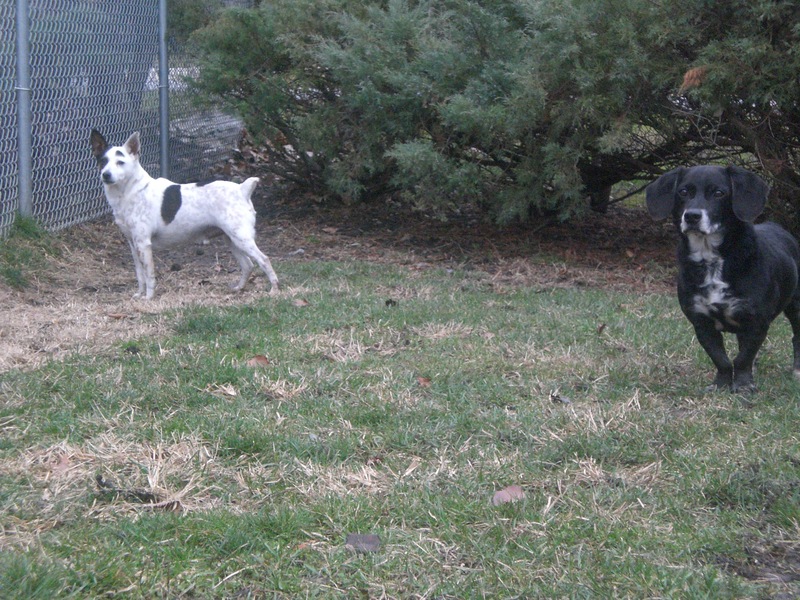 When you visit Orphans of the Storm®, you’ll find two cuties sharing a kennel: Duvall the Jack Russell Terrier mix and Izzy the Dachshund mix. They are both older dogs (Duvall is seven and Izzy is nine) and they are both completely precious. The two of them can be a little shy around strangers so one of the staff members accompanied the three of us out to the run, but Duvall came up to me and sniffed my shoes as a hello when he first got out of his kennel. Izzy is a close second when it comes to my favorites (again, I couldn’t help myself). He can take a while to warm up to people, but when I knelt down to his level he came trotting over and let me pet his back for a while. His ears look almost too big for his little face, but that makes him even cuter. Izzy has been at the shelter for a few years now, which is incredibly bewildering to me. Give him a chance to get to know you, and you’ll both fall in love. Posted by Meet the Pooches on November 29, 2011 in Dog Profiles and tagged adoption, American Staffordshire Terrier, animal shelter, Australian Cattle Dog, Chicago, Dachshund, dogs, Jack Russell Terrier, Labrador Retriever, Orphans of the Storm, pets. As always. . . Amy is right on with her picks of the week. Diamond, Chewy, Duval and Izzy. Each of them have been overlooked for quite some time. All they need is a chance. Thank you Amy for pulling them out of the crowd and allowing them center stage for a little while. Maybe, hopefully, this is all they need to get noticed and finally get a forever home with a family. 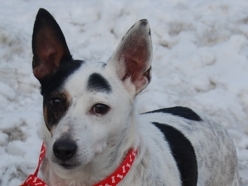 Thanks so much for doing this blog, It’s nice to see some of the older dogs in the spotlight. Thank YOU (and all my other readers) for visiting the site! I hope I’ll be able to post some good news about these sweet dogs soon. Izzy aka Wild Bill is no longer languishing in his kennel. 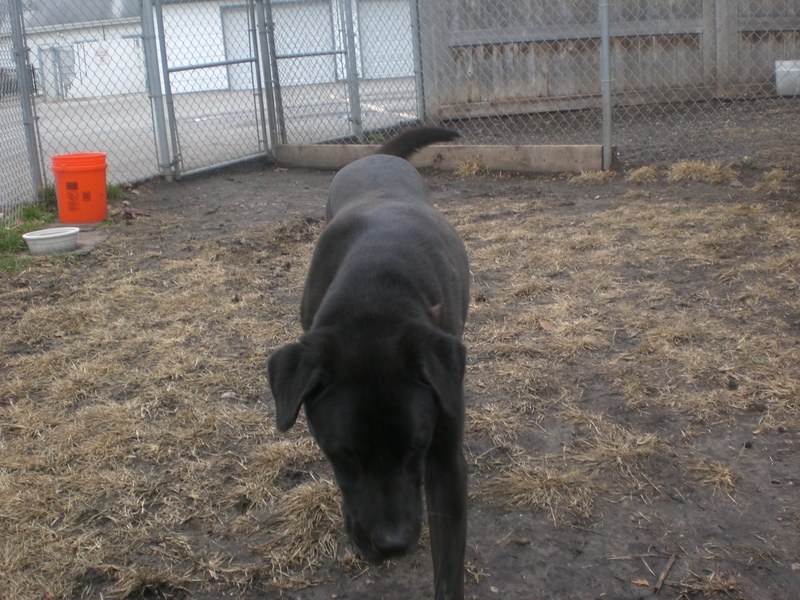 He is romping with the all black pack, joyful in finding his forever home. He is much less aloof than he was at first, & he has entered my very accepting pack as if he always belonged. What a good boy he is & quite smart as dachshunds are known to be. The 2 cats are totally at ease with him. His interest in the parrots & the guinea pigs is one of minimal curiousity. Named after my cousin Wild Bill Hickok, this cute guy loves to go for rides with schipperke sisters, Clare & Sprite. Thank you for giving us an update on Izzy aka Wild Bill! I’m so happy that he found such a wonderful home full of new friends!